An unhurried, unspoiled natural paradise offering spectacular sunsets, gentle breezes and crystal clear, turquoise waters. 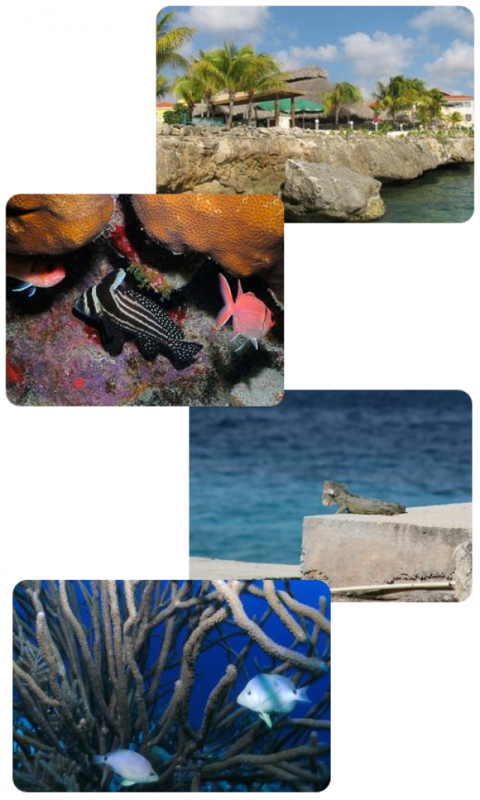 Bonaire's sea abounds with beautiful marine life and a fascinating variety of multi-colored tropical fish. The sea is remarkably calm and conditions are superb for both scuba diving and snorkeling. Some of the best shore diving in the world. *Pricing is per person, based on double occupancy, four people to a two room condo and is subject to change. Package does not include $25 marine park fee. We recommend our payment system to avoid late charges. The trip must be paid in full sixty days before departure, May 1, 2017, or a $100 surcharge will be placed.